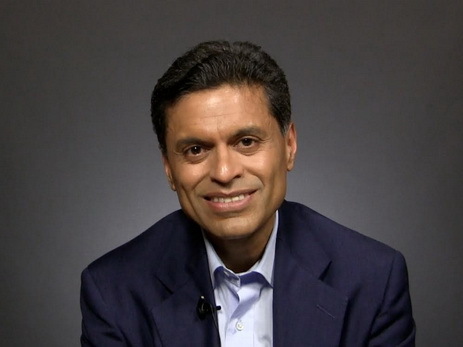 Fareed Zakaria has commented on the content of today's external policy of the United States. He claims that President Trump's ambiguous decisions have been pushing the United States away form the rest of the world. He says that both Donald trump himself and those who criticize him call his trip to Europe revolutionary. For starters, President Trump claims that he miraculously made the rest of the NATO increase their defence budgets. At the same time, his critics say that President Trump literally destroyed the NATO and left the USA's closest allies puzzled. Fareed Zakaria himself think that none of these statements are 100% true. Donald Trump has been urging the USA's NATO allies to increase their defence financing eve since he became President of the UNited States. Even Barack Obama did the same repeatedly. Last week, Donald Trump accused Germany of being dependent on Russian natural gas. The Germans volunteerily agreed on energy relations with Russia (which can be dangerous) while Donald Trump didn't quite get the essence of the matter. According to the political scientist, it's not about the possibility of blackmailing Berlin with big-scale NG import. The thing is that Russia is equally dependent on the German money paid fo the export. This is dangerous for East-European countries as well since Russia may afford to delay the export or start raising the prices. Still, Germany believes that this is a commercial project. A revolution is taking place within the U.S. political circles. The complaints made by Donald Trump previously were repeatedly made by Obama's administration. That's why there is no reason to complain about Trump's rude and aggressive approach. While some European assume they have to make concessions, the German Minister of External Affairs have reminded Donald Trump that Germany is not a retainer of the United States or Russia. The expert says that the real revolution is currently happening inside the United States. Its essence lies in what President Trump has been doing to the country's foreign policy. Whether accidentally or on purpose, he keeps on changing the Republican party. His foreign policy is likely aimed at creating a new Republican foreign policy, closer to the historical roots of the political power, which is distrust to foreigners, alliances, and treaties. Simply put, this is a policy aimed at isolating the USa from the rest of the world. It's interesting to note that Trump has been good at making some Americans change their mind. At this point, 51% of Americans think that the USA shouldn't defend their NATO allies until they increase their defence budgets. At the same time, he seems to have made changes to the Republic party. Most of them have become more loyal to Russia and Putin and want to cooperate. At the same time, they distrust the FBI like never before. They advocate the prosecution of illegal immigrants. The bottom line is, Zakaria assumes that Trump's genius is in admitting that the Republican party is now ready for an ideological revolution.